Feminist Connection: What Are You Reading? 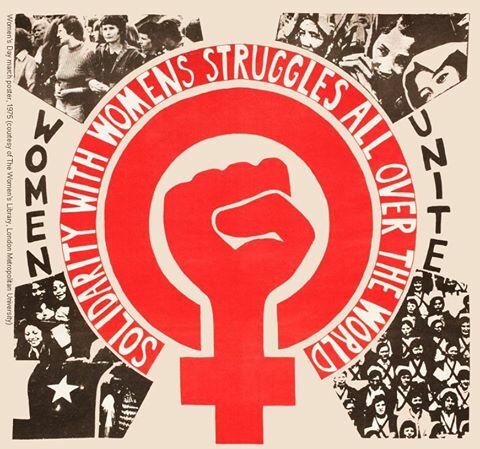 Image source: https://www.facebook.com/feministconnection/photos/a.1611086672478488.1073741825.1611085752478580/1611091402478015/?type=1&theater Date accessed August 26, 2015. After the success of the our 1st feminist potluck, I decided to make these discussions monthly events! Please join us (again)! For this discussion, let’s bring our favorite or least favorite feminist books to discuss. Actual books aren’t needed, but please be able to provide enough info so that interested folks can find them on their own. If you don’t have any book suggestions, no sweat! There will be enough discussion going around for you to jump in. RSVP here: https://www.facebook.com/events/409779305881598/ or email them at feministconnection at gmail dot com. Note: All events/meetups through Feminist Connection serve to build community among lesbian and bisexual women who experience multiple levels of oppression, including racism, sexism, ableism, homophobia, classism, etc. This entry was posted on August 27, 2015 by Seattle Black Feminists in Events and tagged Central District, Feminist Connection, LGBTQ, seattle.